Surely, you have given a vent to your anger when you learned about Facebook’s mood manipulation experiment that played with the emotions of about 700,000 users without their knowing about it. The unwarranted experiment even prompted an investigation by the government and drew lawsuits. In response, Just B.V., a Dutch nonprofit organization, is challenging the irked Facebook users, if not all, to quit the social networking site for 99 days as part of a transparent study to gauge what makes people happy and what brings about a change in their mood. 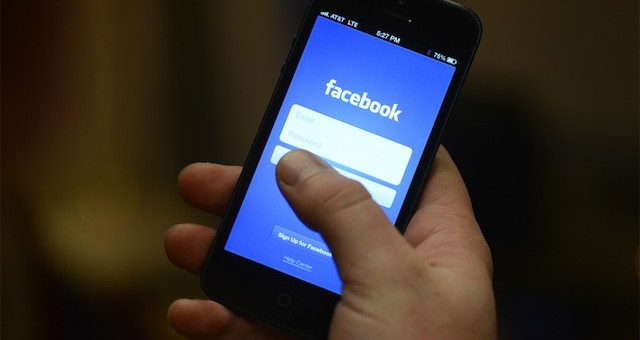 Users will agree to participate in a survey at regular intervals on the 33rd, 66th and 99th days to determine whether they feel better than when they are on Facebook. Dubbed “99 Days of Freedom,” the initiative has so far registered nearly 18,000 participants who are now “enjoying freedom,” though that is way too far from making a dent on Facebook’s billion user base. The campaign, however, is not meant to wage a war against Facebook, so clarifies the Netherlands-based company. In fact, Merijn Straathof, art director of Just, described Facebook in an accompanying statement as “an incredible platform” and that “there’s a lot to love” about the social networking site. The experiment aims to measure emotional changes among Facebook users within the 99-day period, which was so selected rather than a much longer time because it is thought that the experiment would grow uninteresting to participants. But imagine if Just had kicked off the experiment as indeed an anti-Facebook initiative. Imagine if it had called on people to quit Facebook for good and find an alternative social media that does not maneuver the emotion of its users or track their activity and everything in between? Would it really impact the user base of the social media titan? There have been several experiments in the past that had aimed to slash the large user base of Facebook. Some point to the deactivation button, and only recently the delete button also popped up for those who thought it was high time to quit Facebook. But neither attempts succeeded in a major way to decrease the number of Facebook users. Read also: How to Delete Your Facebook Account? And Why? For some, it is really hard to quit Facebook. For a couple of reasons. First, that’s where you and your distant friends meet, even only in a virtual environment. The features that make the virtual connection between individuals have just grown so realistic that almost borders on reality. Second, it’s where you share your photos and other important life events that you can’t help sharing with your friends and acquaintances. But for the sake of experimenting, could you quit Facebook?